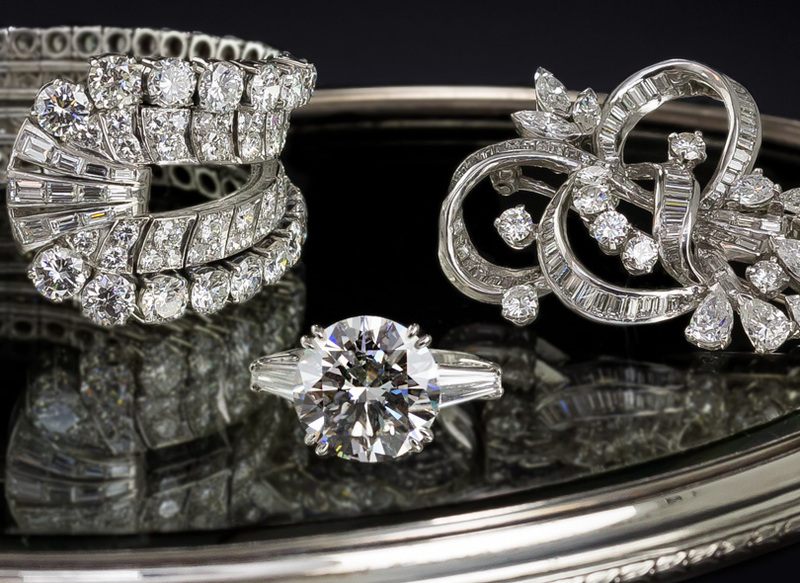 An original 1950s vintage diamond wedding set, crafted in bright and sturdy 14 karat white gold, featuring a .22 carat round brilliant-cut diamond sparkling from within an illusion setting, which adds considerable extra dimension to the outline of the diamond. 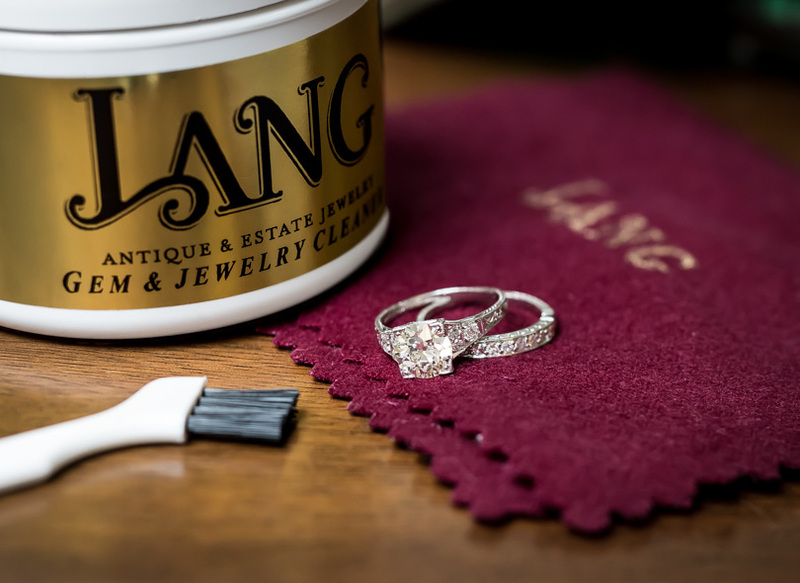 The center diamond is flanked on each side by a pair of tiny single-cut diamonds which also comprise the matching wedding band. 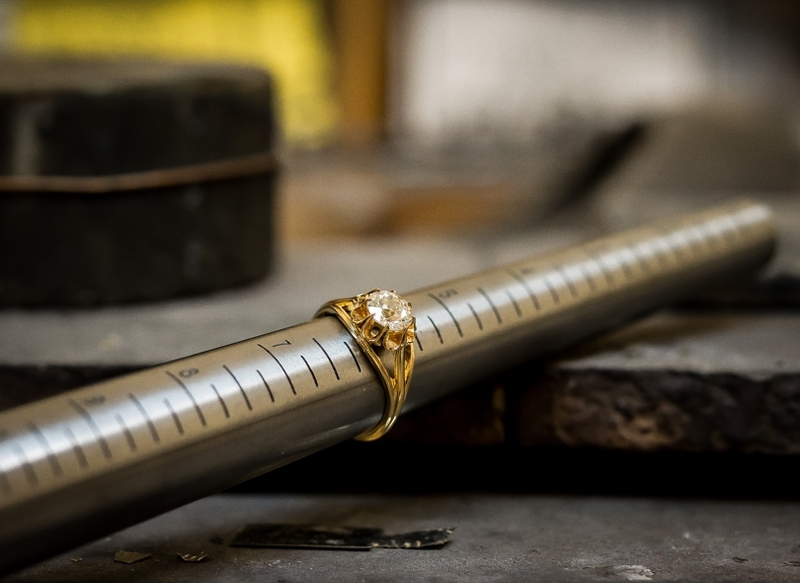 Sleek knife-edge ring shanks add the finishing touches. Currently ring size 5.